The following states the Autoplicity dot com policy regarding the privacy rights of visitors to this website. We respect your right to privacy and your desire for a secure online shopping experience. Autoplicity can be reached by telephone at 1-847-983-6032. We collect aggregate information on visits made to our pages. This information helps us improve the content of our site. When you purchase a product on Autoplicity dot com, we ask you for the following information: name, address, phone number, e-mail address, and credit card. This information is used to process your order and if necessary, to contact you for help when we are processing an order. All information we collect is stored in a secure database. We use GoDaddy as our SSL (Secure Socket Layer) digital certificate provider, providing our customers the strongest certificate services available up to 256bit encryption. Your credit card information is encrypted while traveling the Internet. 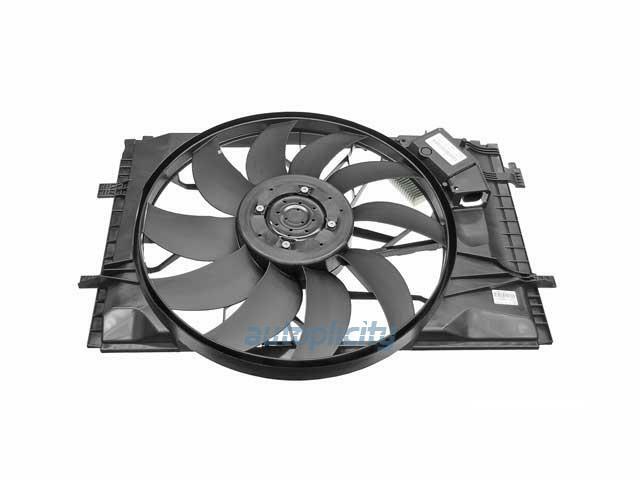 GENUINE MERCEDES 203-500-10-93 Auxiliary Fan Assembly fits on the following vehicles. This is for your reference only, please check your auto manual to make sure it fits.